I write a lot about the importance of skilled individuals with higher levels of educational attainment to the prospects for our nation’s and NH’s economic growth and prosperity. 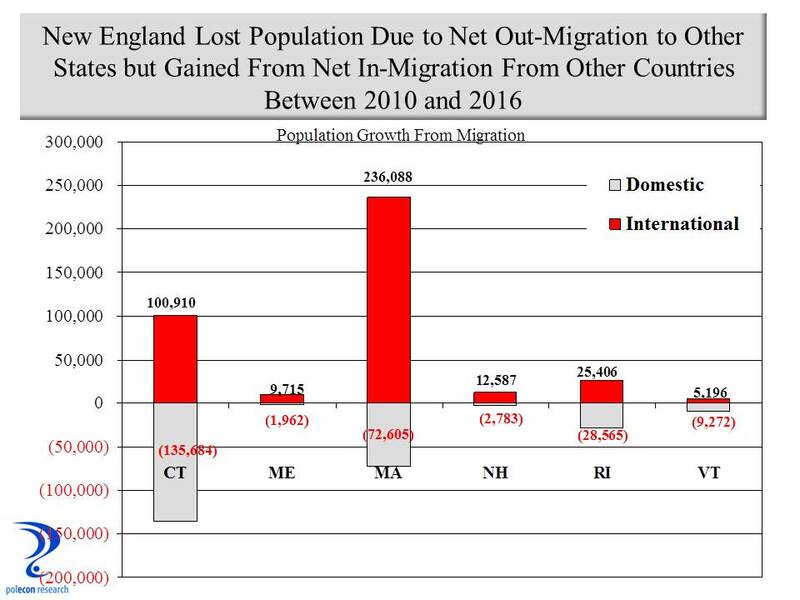 I’ve also written about how important the in-migration of skilled individuals with higher levels of educational attainment from other states to NH has been to NH’s economic success. I know foreign immigration to the U.S. is a hot-button issue in this country and an increasingly high-profile one in cities like Manchester in NH. Whether because of economics, legitimate fiscal concerns, or simple xenophobia, for many, foreign immigration is viewed with concern, skepticism, and sometimes hostility. 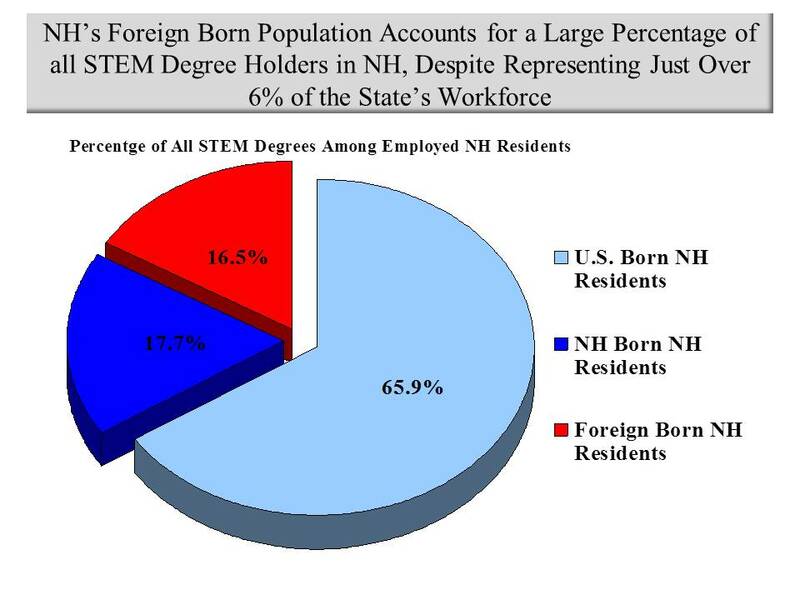 While some cities and school districts are more challenged by differing characteristics of immigrant populations in NH, on balance, foreign born individuals add significantly to the overall level of skill and educational attainment of the workforce in NH. 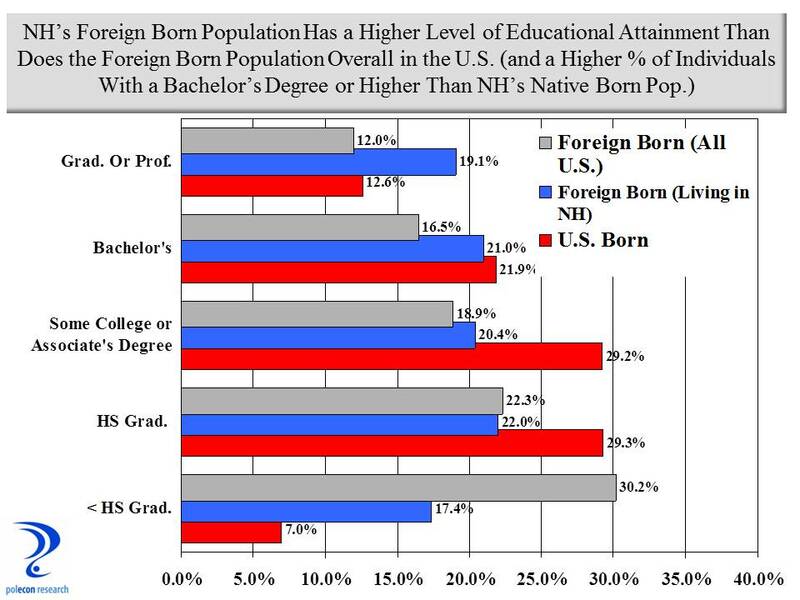 The chart below shows how much higher is the educational attainment of the foreign-born workforce in NH than it is in the U.S. as whole. 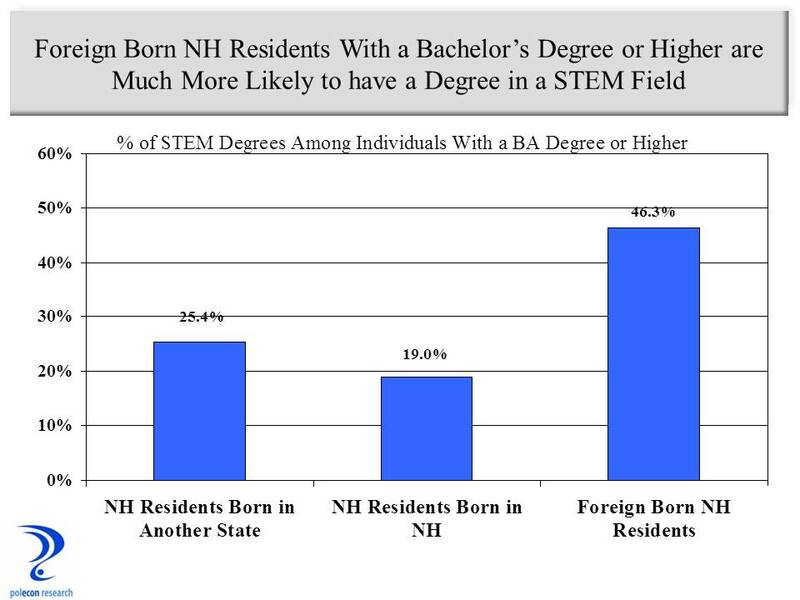 Comparing foreign born workers in NH to U.S. born workers in NH shows that foreign born workers are much more likely to have a graduate or professional degree than are U.S. born workers age 25-34. 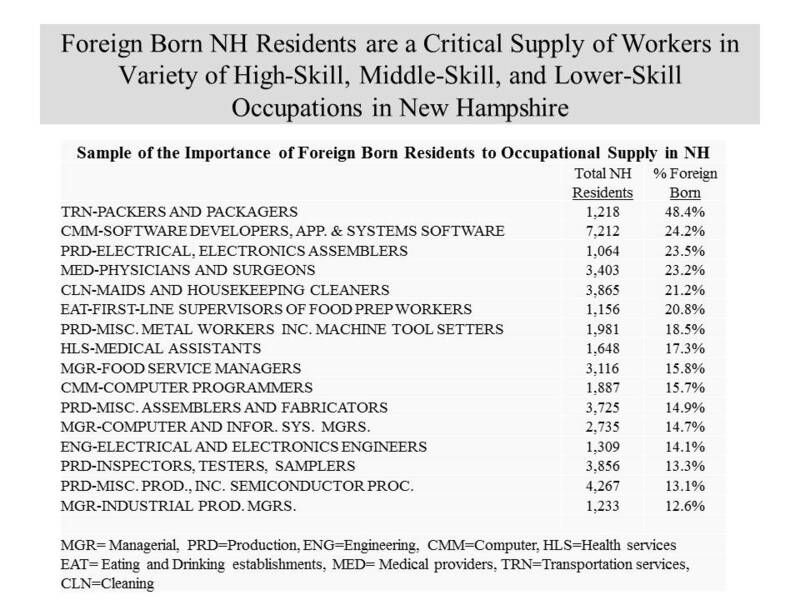 Foreign born workers comprise a disproportionately large percentage of NH residents with graduate and professional degrees and that is reflected in many of the highest skill occupations in the state. Which, of course, will be the subject of a future post.